Are you curious to see how other nonprofits are utilizing cloud technologies in 2018? 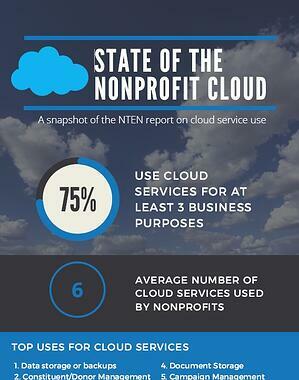 NTEN surveyed over 250 nonprofit organizations across the US and released a report on the current state of nonprofit cloud use. We’ve taken some of the highlights and featured them in a handy infographic.